There was an option for an underhood tool box, also called a Storage Compartment (Tool Box) by Ford. It mounts to the fender where the coolant recovery/windshield washer bottle normally mounts by way of a bracket, and then another bracket mounts to the inside edge of the tool box and to the radiator support, and the coolant recovery/windshield washer bottle mounts to that. So, if you find one in a salvage be sure to get the brackets as well. 461A08 is the inner bracket and it bolts to the inside of the box and the coolant recovery reservoir attaches to it. 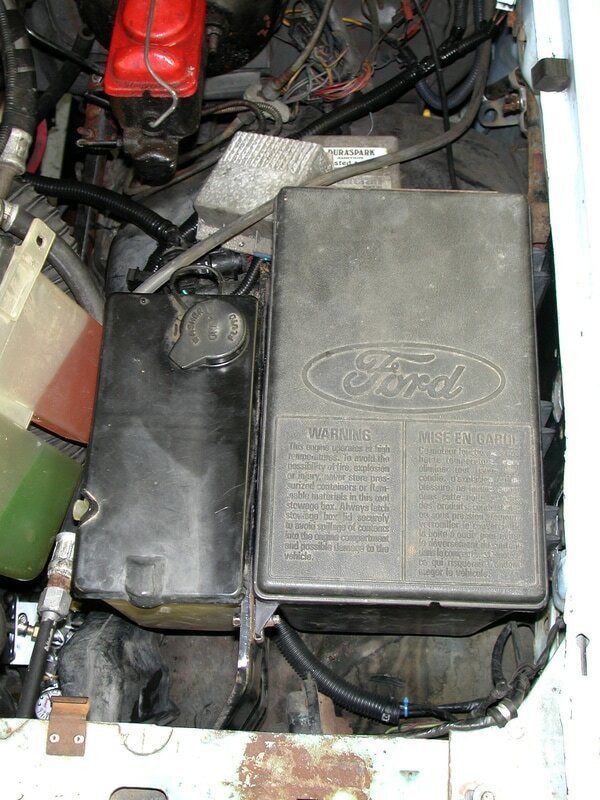 However, note that the box was only offered from 1980 through 1984, during which time the coolant recovery reservoirs had rectangular tabs. 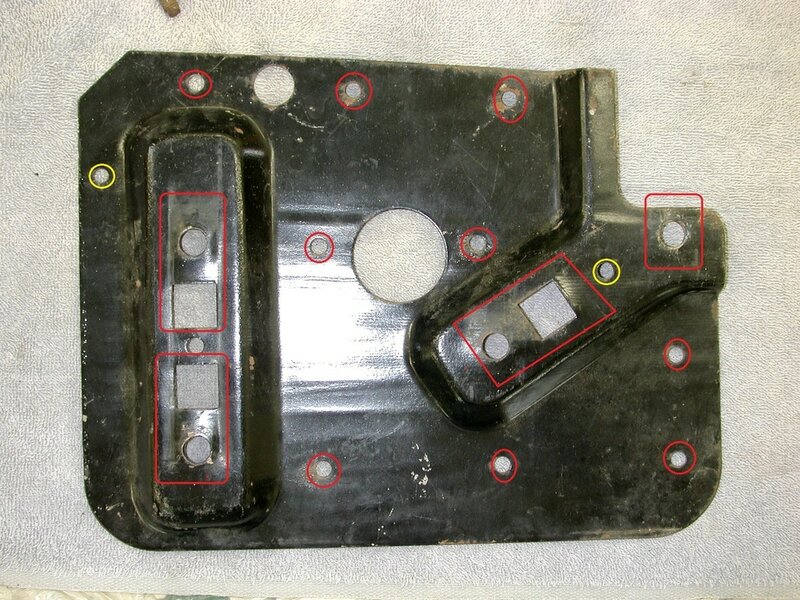 So if you have a 1985 or '86 truck, or have upgraded the coolant recovery reservoir to the later/better version then yours will have a round pin and you'll have to drill a hole in the bracket to receive the pin - as described below. 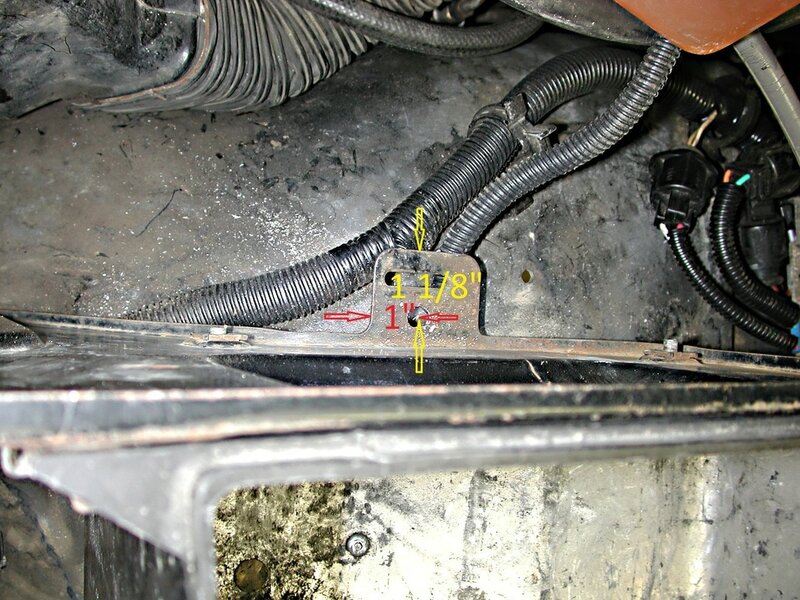 461A10 is the other bracket, and in the illustration below it is shown sandwiched between the fender and the box since the u-nut is shown attaching to the fender. However, FTE'er Brad1979 pointed out that the brackets he's pulled off of trucks have been riveted to the fender and the u-nuts have been attached to the bracket. And an examination of my bracket, shown in a picture below with red & yellow circles, confirms that. 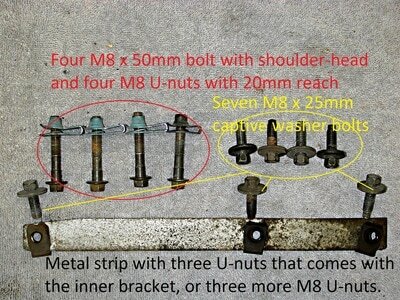 So, originally the bracket probably was riveted to the fender and the u-nuts attached to the bracket. 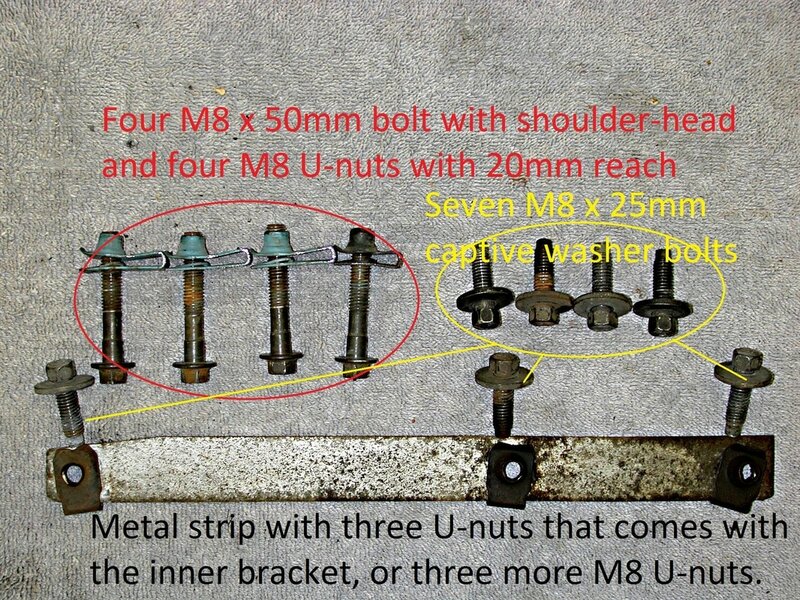 But, unless you are doing a serious restoration I believe it will be almost as strong to put the u-nuts on the fender and sandwich the bracket between the box and fender, as shown in the illustration below. In fact, the box bolts nicely to the fender without the bracket, so if you don't have the bracket you could bolt it right to the fender, although you might want to take it easy loading the box up. 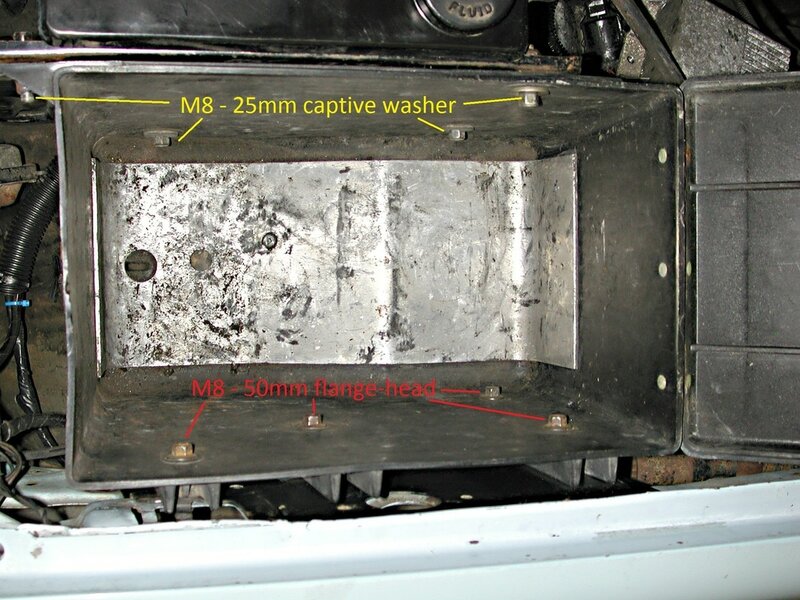 Here are pics of the tool box mounted with the two different coolant recovery reservoirs, with the 1980-84 rectangular-tabbed unit on the left and the 1985-86 unit with a round peg on the right. So, how does it mount? 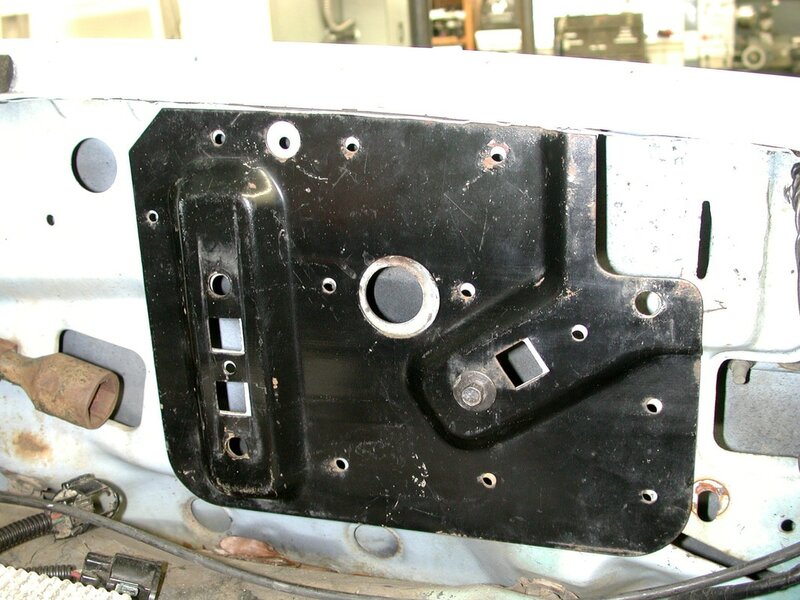 In the picture on the left, below, you can see where U-nuts go on the driver's fender if you use the bracket but don't rivet it to the fender. 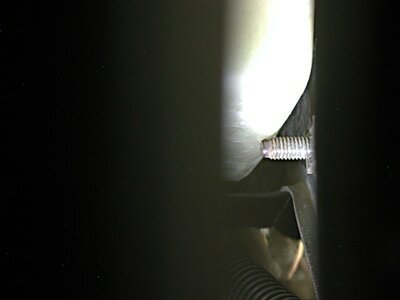 Then the 461A10 bracket goes against the fender and the box bolts through that to the U-nuts on the fender. And the picture in the middle shows the bracket in position for that. 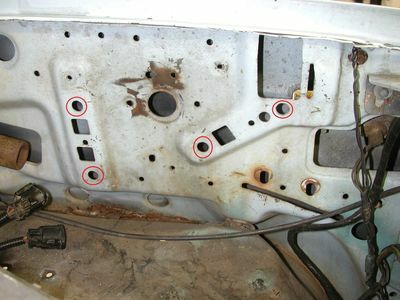 But, the picture on the right shows where from the factory rivets have probably held the bracket to the fender and the places where u-nuts were attached to the bracket. But, you are probably asking what you need to bolt it on. 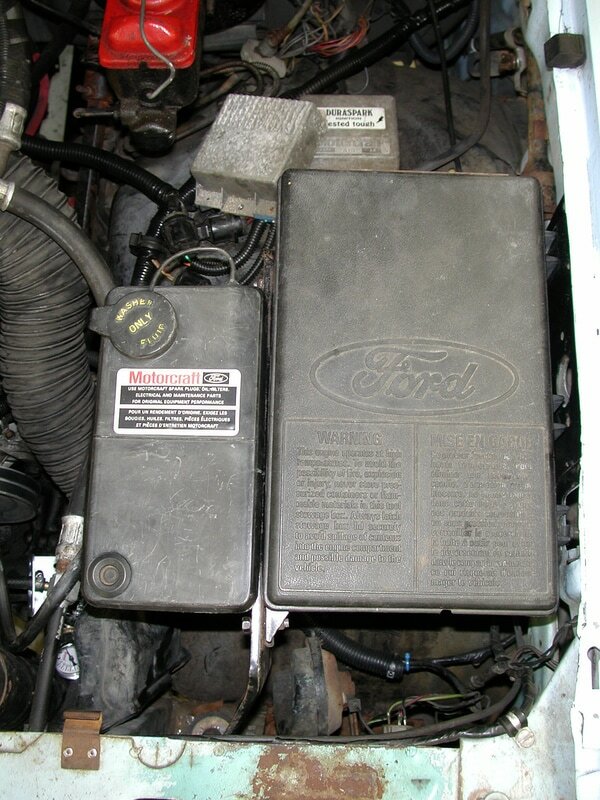 Unfortunately the illustration above, from Ford's Master Parts Catalog is wrong. However, I've determined the fasteners shown in the picture on the left, below, are what's needed and have indicated that in the illustration - although there's no way to attach u-nuts to the radiator support, so that pic should say "three standard M8 nuts". The picture in the middle shows where most of those bolts go, but I should point out that the bolt that holds the rear of the coolant reservoir to the inside edge of the tool box, shown in the upper right of the middle picture, has a nut on the outside to hold the reservoir on. And the picture on the right shows how the inner bracket attaches to the radiator support using 461A12 Retainer - the strip that holds the u-nuts. Next, the picture on the left shows what happens if you put too long of a bolt in the front/bottom hole of the inside edge of the box - it hits the coolant reservoir! 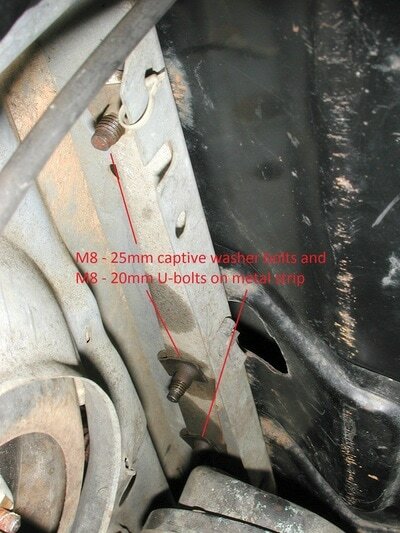 So stick with the 25mm-long bolts everywhere but on the fender side. 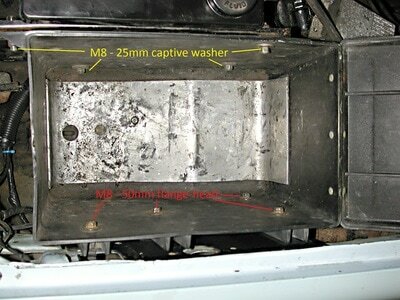 And, if you want to use the 1985-86 coolant reservoir you'll need to drill a hole as shown in the pic on the right.